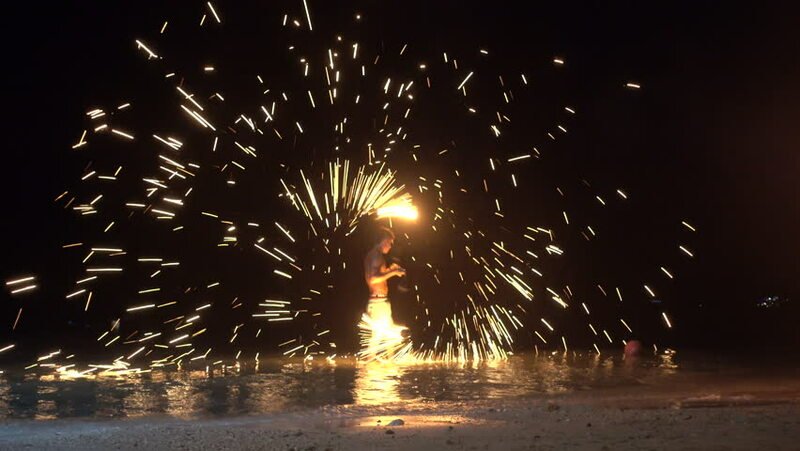 hd00:18Rayong, Thailand - April, 14, 2015 : Fireman spinning in amazing fire show on the beach at night on April, 14, 2015 at Samed Island, Rayong, Thailand. hd00:18SAMET ISLAND RAYONG THAILAND - APRIL 08 2015 : Fire show performed on the beach for tourists on April 08 2015. The fire show takes place every night. hd00:45Spinning firework wheel, sparkles all around, fire show performance. Spinning fire mill, sparkles flying everywhere. hd00:17Fireworks on the beach and harbor of Alicante city in Spain. hd00:17Man Dancing with Fire Show at Night on the Beach. Koh Samui, Thailand. HD, 1920x1080. 4k00:14The process of manufacturing a decorative metal product. Metal sparks fly apart from the detail. Welding of metal in the process of creating decorative metal products.